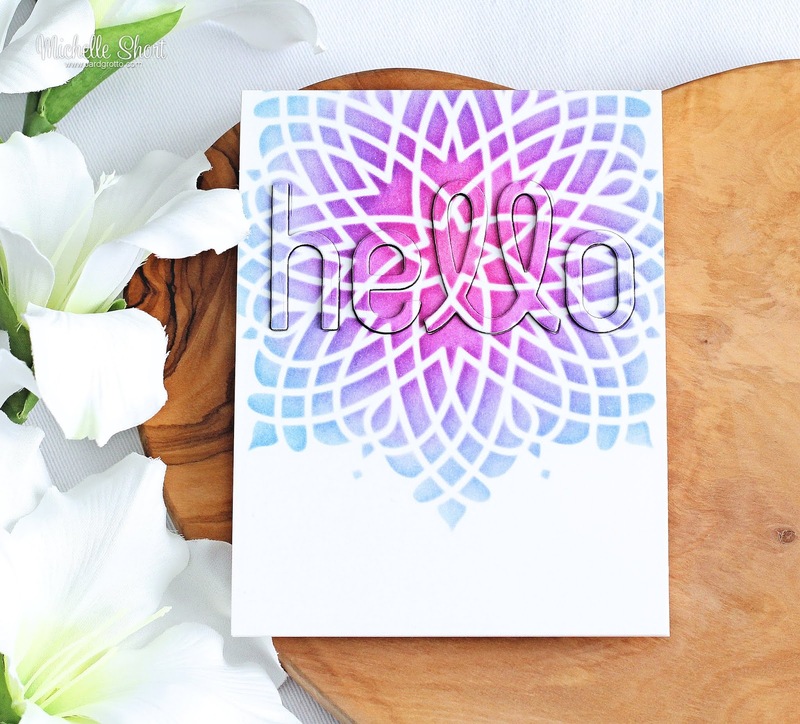 Hello there, today I have a super simple card to share with you using the MFT Captivating Mandala Stencil, along with the Simple Hello die, which is free with any order over $60 this month. I started off by taking a panel of white cardstock and placed the Captivating Mandala Stencil towards the top. I then blended on Distress Oxide ink in Picked Raspberry, Wilted Violet and Broken China with an ink blending tool. I took the Simply Hello die and die cut this in to the panel. The panel was then adhered to a white A2 card base with tape runner. I die cut the Simply Hello three more times, this time from black cardstock. I layered these up with liquid glue and then popped back in to place on the card front. The stencilled pieces were then added on top, as well as the insides of the letters. I love how the black cardstock underneath the letters adds some shadow to them. Thank you so much for stopping by to see me today, I really do appreciate it. Have a great day! Very beautiful in style & colours. Simple but very stunning. Thank you. 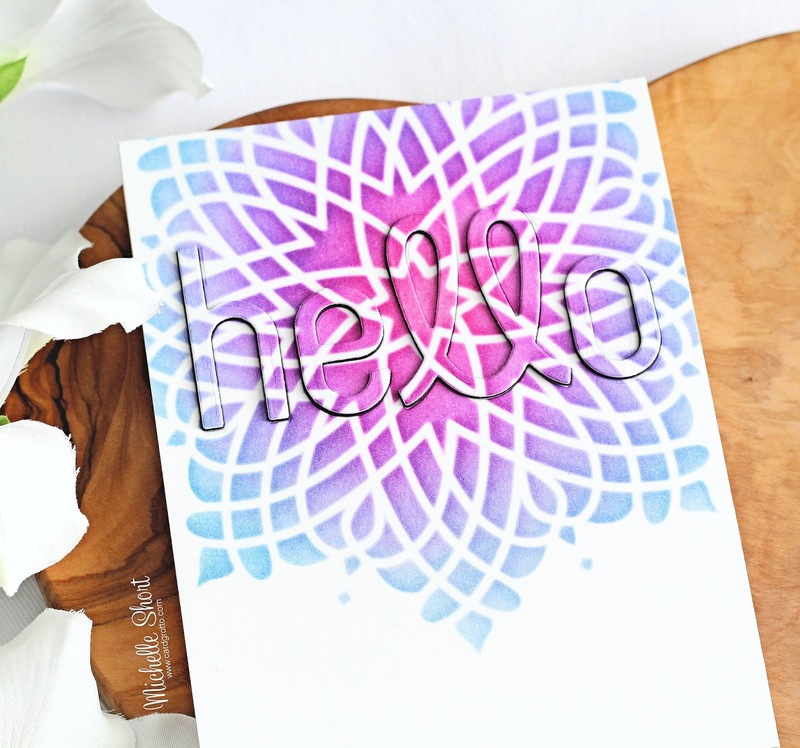 Your card may be simple but the result is so elegant with this technique.